Program up to 8 numbers for fast one-digit dialing. Dial *74 (for rotary, dial 1174). Enter code (2 through 9). Enter phone number and # (for rotary, skip # and allow for a 4-second pause). Listen for confirmation tones and hang up. Dial the selected code number. Wait for call to be placed. Program up to 30 numbers for fast two-digit dialing. 1. Dial *75 (for rotary, dial 1175). Enter code (20 through 49). Dial the selected code numbers. Allows you to list other names associated with your telephone number in the telephone directory. Refuses calls from callers who block their numbers. Dial *77 (for rotary, dial 1177). Wait for the confirmation tones. Dial *87 (for rotary, dial 1187). Calls the last number to ring your phone. Dial *69 (for rotary, dial 1169). Listen for announcement giving you the last phone number having called you. To return the call, dial 1 and wait for an answer. If you do not wish to return the call, simply hang up. A recording will state if the line is busy. The line will be checked for the next 30 minutes. A special ring will notify you when the line is free. The call will connect when you lift the handset. Continuously redials the last number you dialed until the call goes through. Dial *66 (for rotary, dial 1166). Listen for ringing and wait for an answer. A recording will state if the line is busy. After the recording, hang up. The line will be checked for the next 30 minutes. A special ring will notify you when the line is free. The call will connect when you lift the handset. Forwards incoming calls to another phone number. Dial the phone number to which the calls will be forwarded. A courtesy call will be placed. The call must be answered to activate the feature. If unanswered, repeat process. Wait for the confirmation tones. Forwards calls only when your line is busy. Dial the phone number to which the calls to be forwarded. A courtesy call will be placed. The call must be answered to activate the feature. If unanswered, repeat process. Wait for the confirmation tones. Forwards calls only when there is no answer on your line. Enter the number of rings before calls are forwarded and hit # key. Allows you to activate or deactivate Call Forwarding when you are away from your telephone number. You must subscribe to Call Forwarding in order for this feature to work. Dial 247-7777 (use area code if out of the area). Wait for confirmation tones. Enter your seven digit phone number and PIN (call Customer Service for PIN). Wait for confirmation tones. Dial *72 (for rotary, dial 1172). Wait for confirmation tones. Dial the phone number to which the calls will be forwarded. Dial 247-7777 (use are code if out of the area). Wait for confirmation tones. Enter your seven digit phone number and PIN. Wait for confirmation tones. Dial *73 (for rotary, dial 1173). Note: Call forwarding is required to use this feature. Contact Customer Service to change the PIN. Alerts you to another incoming call when you are already on the line. Cancel Call Waiting allows you to temporarily cancel the Call Waiting feature. When you hear the beep tone alerting you to another call, depress and release the switch-hook (or flash) to put the original caller on hold. This also connects you to the calling party. To alternate between parties, depress and release the switch-hook (or flash) once for each transfer. Note: The conversation between you and either party is private. If you desire to end the original call when you hear the call waiting tone, simply hang up and the phone will ring with the new call. Dial *70 (for rotary, dial 1170). When you receive dial tone, dial the number you desire. Anyone calling your phone will receive a busy signal during this call. Cancel Call Waiting is terminated when you hang up. Allows for the display of the name and/or number of a new caller when you are already on the phone. View only the caller’s name on incoming calls. You must have a phone capable of displaying the Caller ID information in order for the delivery option to function properly. View only the caller’s number on incoming calls. View the caller’s name and number on incoming calls. Initiates a trace of the last call you received. If you place or receive another call prior to activating the trace, it will not record the correct number. The results of the trace will be furnished only to legally constituted authorities upon proper request. You will be required to contact the appropriate law enforcement agency for further action. Dial *57 (for rotary, dial 1157). Listen for announcement and follow the prompts to initiate the trace. Be sure to note the date and time. Contact the Business Office before the end of the next business day for further investigation. You will need to provide the date and time that the trace was activated. Direct Line automatically places a call to a preselected number when the phone is left off the hook for a certain period of time. The designated number may not be an emergency number, such as fire, ambulance, etc. Manual Line connects the call to an operator. Provides a distinctive ring or call waiting signal when preselected numbers call. Dial *61 (for rotary, dial 1161). Turn Distinctive Alert/Call Waiting on and off. Set up and/or make changes to your list. 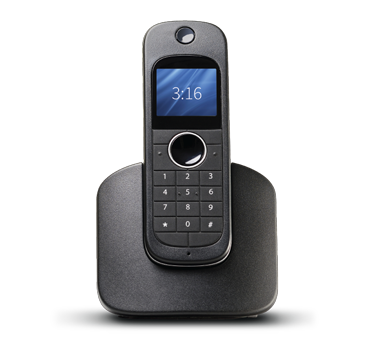 Allows you to place your telephone in an apparent busy condition to all incoming calls without affecting the outgoing features of the line. The calling party will receive a recorded message and your phone will not ring when the feature is active. Dial *78 (for rotary, dial 1178). Allows you to intercept all incoming calls with an announcement stating, “ You have called a number which does not accept calls from telemarketers. All other callers may press “1”. Remain mobile by having up to four phone numbers, in addition to your primary phone, ring. Additional phone numbers (i.e. cellular phone, office phone, etc.) can ring simultaneously or in the order of your choice. Additional options are also available. Click here for our Maintenance Protection Plan Information. Your telephone number is private and will not be published in the telephone directory or listed in directory assistance. Prevent your name and/or number from appearing to Caller ID Service subscribers only on the calls that you choose to block. Calls blocked on a “per-call” basis will be displayed on the Caller ID Service unit as “anonymous” or “private”. Per-call blocking is free of charge and will automatically be available to all Cooperative members. There is no need to subscribe to Caller ID per-call blocking. Dial *67 (for rotary, dial 1167) before placing your call. Once you hang up, Per-call blocking will automatically be deactivated. Automatically block your name and/or number on every call. Every call placed will be displayed as “anonymous” or “private” on the Caller ID Service display unit. If you subscribe to Per-Line Blocking, you may unblock your number on any call you choose, free of charge. Dial *82 (for rotary, dial 1182) before placing your call. Once you hang up, per-line blocking will automatically be restored. Allows you to screen incoming calls by creating a list of phone numbers from which you are willing to accept calls. Calls from numbers not contained on your list are sent an announcement that informs the caller that you are not receiving calls at this time. Dial *64 (for rotary, dial 1164). Turn Selective Call Acceptance on/off. Create a special list of numbers that will be forwarded. Voice instructions will guide you through the steps for using Selective Call Forwarding. Dial *60 (for rotary, dial 1160). Turn Selective Call Rejection on/off. Allows you to conference call with two other parties at one time. Depress the switch-hook (or flash) to put the first person on hold. Listen for the confirmation tones followed by a normal dial tone. Dial the number of the person you want to add to the call. Depress and release the switch-hook again to add the first person back. Now all three are on the line at one time. Denies “1+” Long Distance and “0+” Operator calls. Allows only local calls to be made. Denies “1+” Long Distance and “0+” Operator calls. Allows local and toll-free calls to be made. Dial the phone number as usual. Touch tone dialing generates a digital tone when keys are pressed on the telephone keypad. Some push button phones use “pulse” dialing, which works over a rotary network and does not generate the digital tone necessary for many of today’s phone functionalities. A voice messaging service which allows callers to leave a message. The messages are stored in your own private voice mailbox. Consists of 10 messages with a 5-day memory. Messages have a maximum length of two minutes each. Note: Call Forwarding Busy and/or Call Forwarding No Answer and Touch Tone dialing are required. If you choose Call Forwarding No Answer, you must also choose the number of rings before the call is forwarded to Voice Mail. A voice messaging service which allows callers to leave a message. The messages are stored in your own private voice mailbox or up to 9 sub-mailboxes. Consists of 20 messages with a 10-day memory. Messages have a maximum length of two minutes each. Receive an e-mail with attached wav file each time someone leaves you a voice message, in addition to the message in your voice mailbox. NOTE: An activation fee of $5.00 applies each time any single feature or combination of features is added to existing service. Discounted prices are available when two or more Calling Features are ordered on the same customer line. All charges are monthly, unless otherwise noted.